Originated from Canada, WonderFil Specialty Threads can be found in your local quilt shops, sewing centres, exhibitions, guilds, conventions, longarm businesses as well as online stores in the US, Australia, New Zealand, South Africa and the Netherlands. 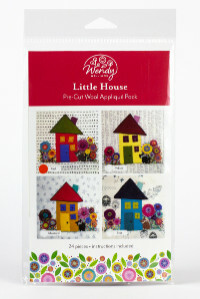 For store information, please visit our website www.wonderfil.net for Canada / US and www.birchhaby.com.au for Australia / New Zealand. We do encourage you to buy your WonderFil products from the participating retailers - our business partners.